I hope you’ve got your coffee and are ready to hear a little of my madness. It’s been a while so please be patient with me. 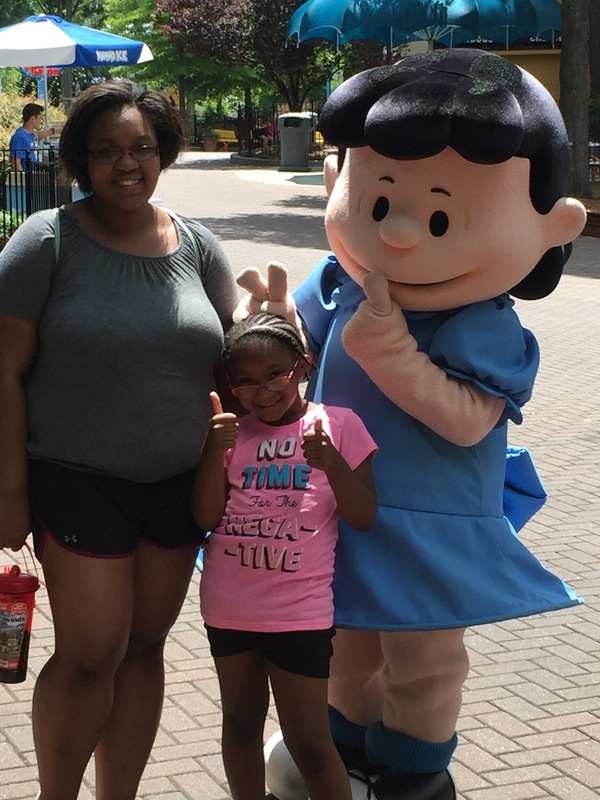 This summer being the great mom that I am, I purchased season passes to Carowinds, our local amusement park. Let’s not stop there I also purchased the drink plan and meal plan. Such a good mommy! Like the mom who sprinkles flour on her face when she makes rice crispy treats. 😜 Really though I have loved saying several times a week I might add, “Let’s go the Carowinds for dinner!” Every time-they react like it’s the first time I said it this season. Mental note moms: Children are so easy. Now let me inform you I am not the amusement park type. I am not really the wanna be outside in the heat type either. My idea of “Ruffin it” is continental breakfast at Holiday Inn Express. 😳 And I don’t do rides. I do eat all the snacks under the rides while I wait although I’m not supposed too. Heck, if the lines are long enough, the world may never know! It will be our secret. On to why you’re here. I decided there was a ride I wanted to try. 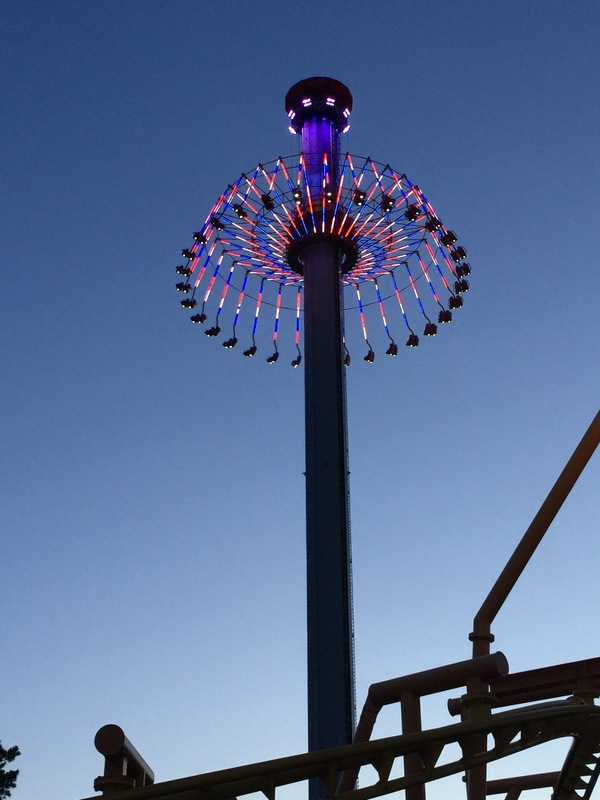 It’s a ride that goes to air traffic control height and it looks like a carousel in the sky. My mission for the summer Wonderers! I thought, I’ll have to ease my way into it. J who is 6, wants to ride the swings. She just made the height chart and is super excited. I thought this to be the first step to my victory. She carefully selected her seat and waited for the ride to begin. I just grabbed the first seat I came too. I noticed she kept looking at me and I wondered if she was scared. Maybe I should have sat next to her. At lift off I was feeling a little panicky and when it started to swing I gripped the chains and started mumbling to Jesus. I could hear J laughing. I tried to open my eyes to see if she was laughing at me but the roof of an adjacent building was coming at me so I shut my eyes again. I was whimpering like a baby. I was really feeling anxious so I started praying for the Lord to stop the ride. As the ride started to lower I gave up all claims to ride the big carousel in the sky. My dream had been dashed and to make matters worst when the ride stopped and I opened my eyes my swing ramjacked the swing in front of me. Only mines did that. Everyone else’s stopped on point. Maybe that was the insult of being on the kiddie ride. When it was time to get off J turned to me and said, “that’s why I get on the inside swing! How humiliating! She did see me shivering in the air. At the next ride I stayed on the ground and got me a funnel cake with powder sugar, vanilla ice cream and strawberries. I deserved it! Just when I sat down to eat it, it started to rain. Okay Derrick, okay God y’all got jokes. 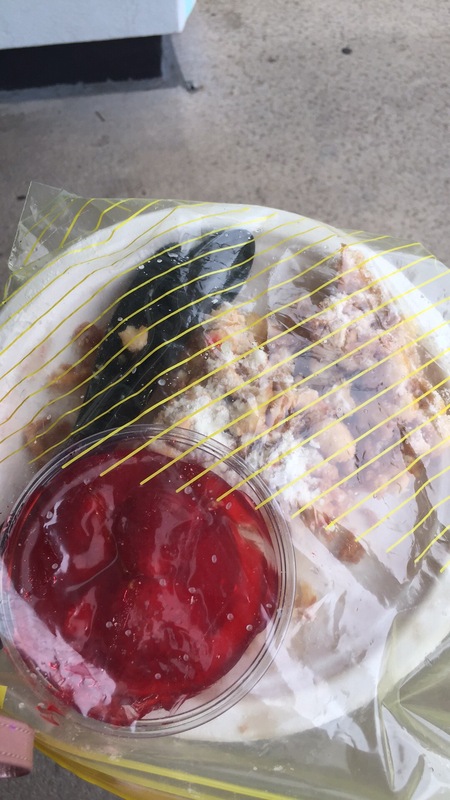 I looked inside my healthy backpack and “ Shazam!” Pulled out a ziplock bag! Girl Scouts prepared me well. If you can’t fly high at least be able to cover ground. Oh! I gonna have to put that on a flag or something. Have a great Monday Wonderers and thanks for perusing. That sounds like an interesting trip, lol!! But you are a good grandma to get season tickets and go there for dinner!!! And that dough boy looks delicious! Glad you had a baggie! I am never fond of rides too, but my kids are.